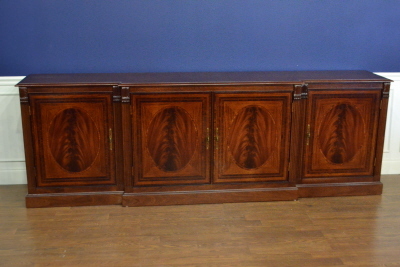 This large buffet features doors with swirly crotch mahogany, satinwood, tulipwood and rosewood. 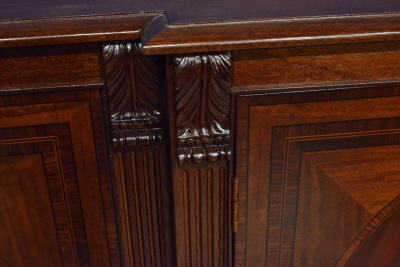 The doors have antiqued brass pulls and corner posts are topped with acanthus leaf carvings. 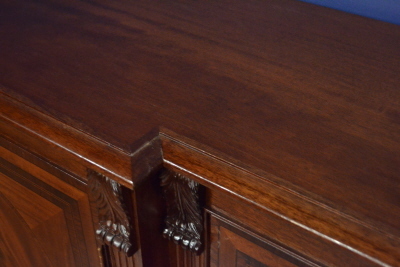 The top features cathedral mahogany with a solid mahogany “thumbnail” edge. 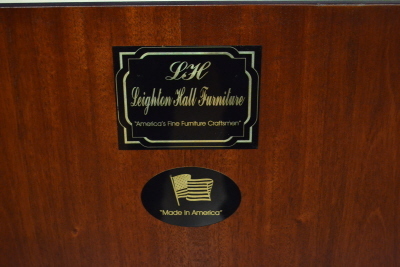 This item can be custom made to order with variations in dimensions and style. 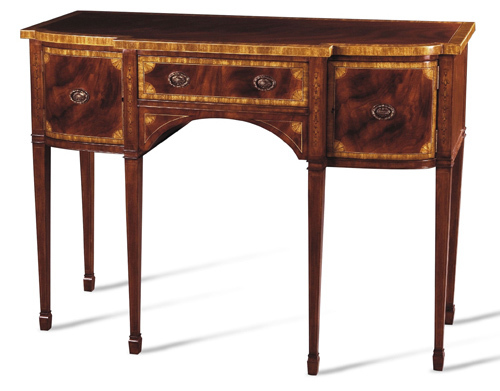 Dimensions (as shown): Length= 104 1/4 in, Height= 36 in., Depth= 17 1/4 in. 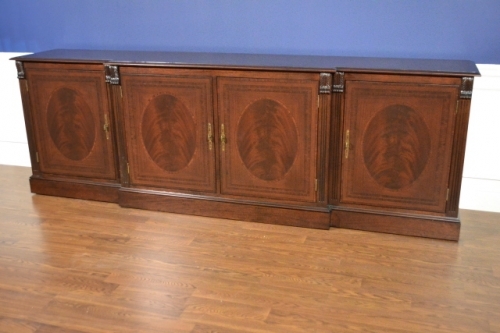 Note: The first buffet in the second row is featured has our “Old English” finish. 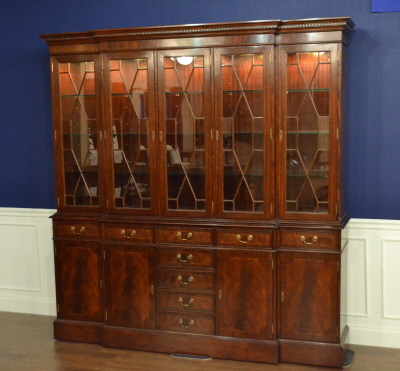 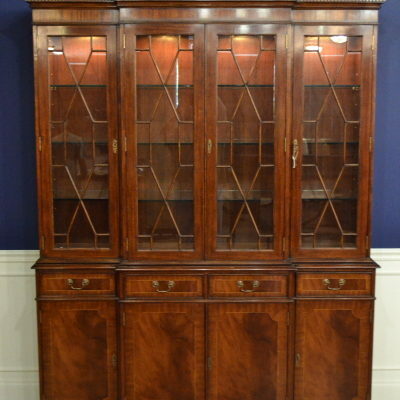 The “Old English” is darker and browner than our standard mahogany finish. 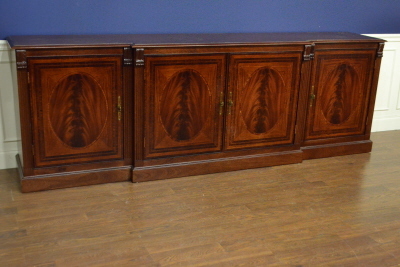 The other pictures have our stadnard medium brown mahogany finish.